Double regulation system for the height of rotating brush group. 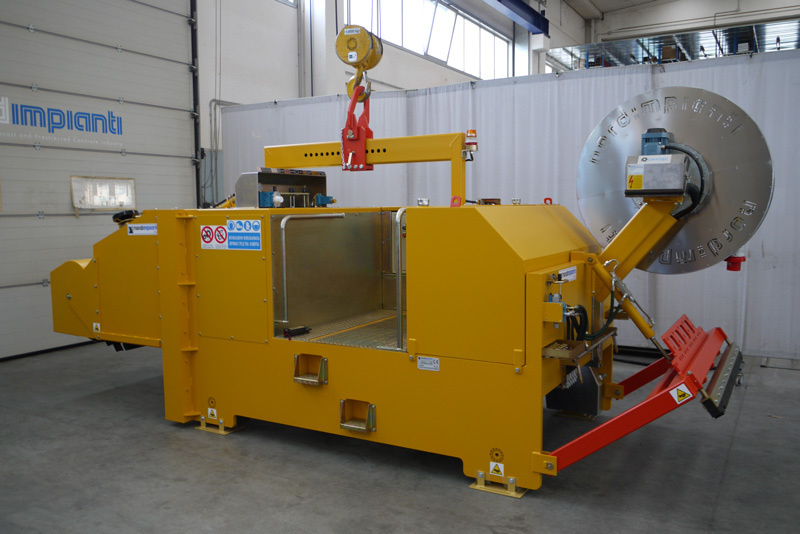 The machine cleans the production bed by means of a rotating brush that removes the residue from the last production cycle and deposits this into an easy to empty debris container. At the same time two rubber squeegees spanning the width of the bed move waste water to the lower end of the bed for removal. The oiling is done through nozzles which spray oil onto the production bed. As the oil is sprayed the rubber squeegees spread the oil evenly across the bed. Two rubber squeegees are used to maximize the cleaning efficiency of the water removal and to minimize the consumption of oil when oiling. The prestressing cables are pulled from one end of the bed to the other by attaching the wires to the machine using special cable clamps. The multi-function machine is of heavy duty construction and together with the 4 wheel drive is able to pull a large number of cables at once thus minimizing the number of times it has to travel up and down the production bed. Different power options, such as Diesel, Electric, Battery or GPL are available for this machine to enable customers to choose exactly what they need.